Spaghetti is a staple of many family dinner tables. 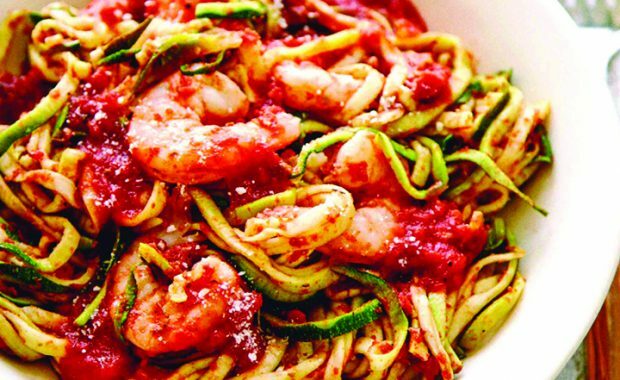 But home cooks who want to veer away from traditional pasta without giving up their love of marinara can try the following, zucchini-inspired alternative to traditional spaghetti, “Z’paghetti Marinara with Shrimp,” courtesy of Lisa Lillien’s “Hungry Girl Clean & Hungry” (St. Martin’s Press). 1. Preheat the oven to 375 F. Lay a large piece of heavy-duty foil on a baking sheet and spray with nonstick spray. 2. Using a spiral vegetable slicer, cut zucchini into spaghetti-like noodles. (If you don’t have a spiral veggie slicer, peel zucchini into super-thin strips, rotating the zucchini after each strip.) Roughly chop for shorter noodles. 3. Place zucchini noodles in the center of the foil and top with shrimp. Sprinkle with seasonings. Top with marinara sauce and Parmesan. 4. Cover with another large piece of foil. Fold together and seal all four edges of the foil pieces, forming a well-sealed packet. 5. 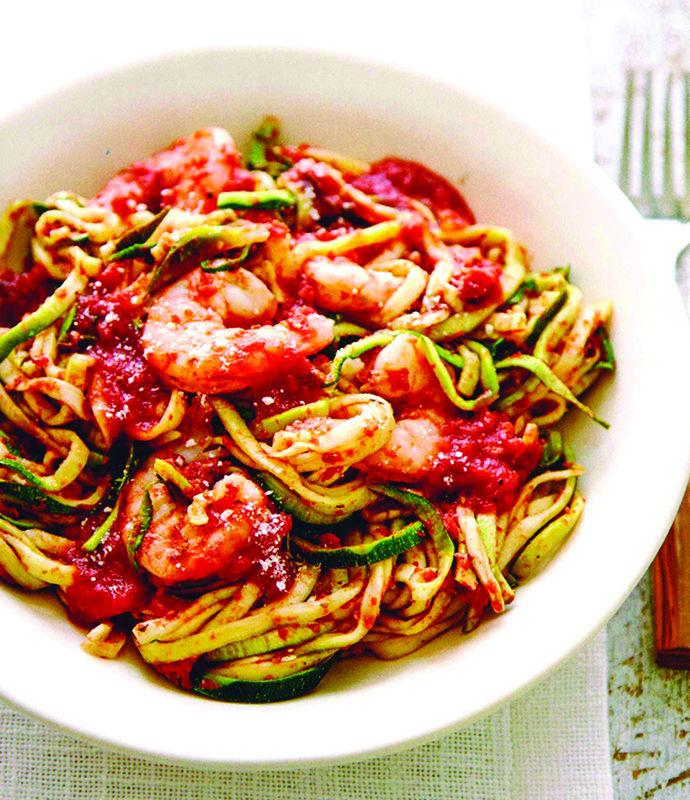 Bake for 25 minutes, or until zucchini noodles have softened and shrimp are fully cooked. 6. Cut packet to release hot steam before opening entirely. 7. Transfer packet contents to a large bowl, and toss to mix. 1. Combine ingredients in a large sealable container. Mix until uniform. 2. Seal, and refrigerate until ready to use.